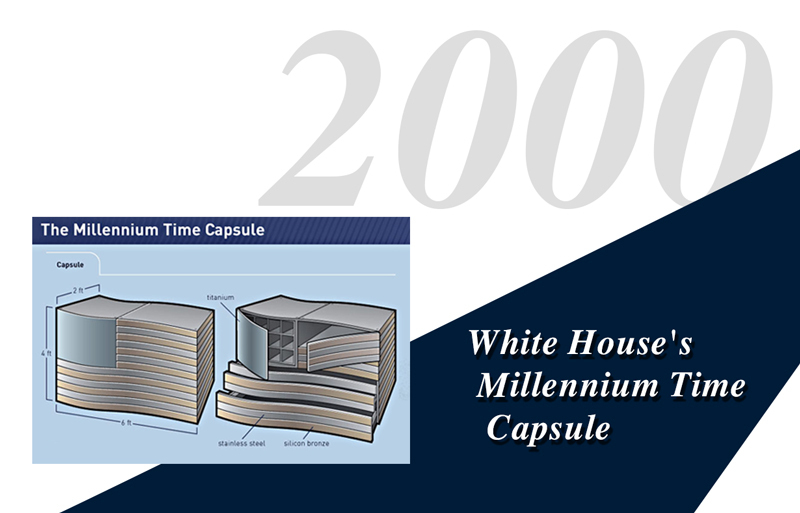 The Millennium 2000 edition of Who’s Who in America is included in the White House Millennium Council’s National Millennium Time Capsule as one of the items that represent America at this time in history. The opening ceremony of the National Millennium Time Capsule takes place on December 6th in the Rotunda of the National Archives Building. Who’s Who in America is included, along with a copy of the Bill of Rights, film reel showing Neil Armstrong’s moon landing, a piece of the Berlin Wall, and the sound of Louis Armstrong’s trumpet, among many other artifacts.